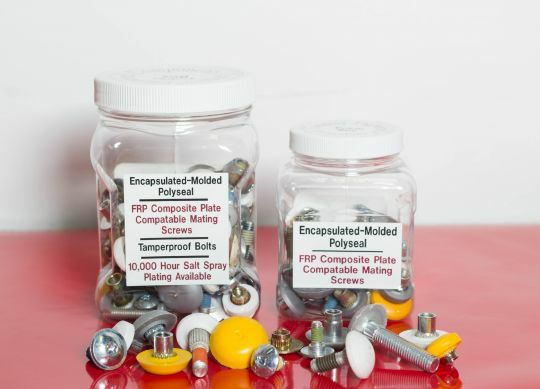 Beyond offering the industry’s most comprehensive catalog of fastener products, Engineered Components Company has a proven track record as the industry’s best fastener distributor. With the primary goal of helping our customers streamline their operations and increase productivity and profitability, we are committed to offering cost-efficient products and services. More than that, we’re committed to delivering the absolute best customer service available. Whether you’re searching for hard-to-find products or you need precision color matching, you can always count on us to meet – or exceed – your expectations. In today’s post, we’re going to look at a few ways that we can help you optimize your operation. At Engineered Components Company, we know that no two projects are ever the same. If you’re having difficulty locating exactly what you need, you can count on us to find – or fabricate – the essential parts that you need. As a leading fastener distributor, we have access to a wide range of products. With this access, we are able to provide comprehensive, ongoing vendor managed inventory services that relieve you of the duty of in-house inventory tracking. With this burden lifted, your employees can focus on more productive, more profitable tasks. When it comes to fasteners, quality is critical. With our own in-house quality assurance teams, we thoroughly check – and recheck – every product before it leaves our facility. We are ISO 9001:2008 certified and are committed to offering durable, long-lasting, and consistent fastener products. At Engineered Components Company, we strive to offer our customers the absolute best products available. More importantly, we are dedicated to ensuring quality and providing timely, responsive customer service. If you’ve been searching for a fastener supplier that will work with you to deliver the essential components that your operation needs, contact us today!